It's time for another look at the various kinds of food I've outgrown as I get older (find the original post here). As Rémy says in Ratatouille, "If you are what you eat, then I only wanna eat the good stuff." I have cut way back on my soda intake in recent years, and I'm certainly not going to waste the calories on Dr. Thunder, Big K Cola, or Kiwi Strawberry Shasta (even if you can get a 3-liter bottle for 69 cents). The exception to this rule is a generic version of Mountain Dew called "Hillbilly Holler" that can only be found at Fareway grocery stores in Iowa. Yeeeeehaw, that there's liquid gold! 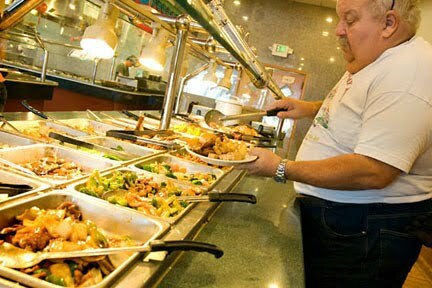 When I was a young adult, all-you-can-eat buffets were always seen as a challenge—especially if you went with other guys. You've had the meat loaf, enchiladas, and chicken fried steak? Well I've had the beef stroganoff, shrimp cocktail, and three pieces of pizza! It was also a matter of making sure you got your money's worth. Let's see, I paid $8 to get in, I've had four heaping plates of food… yup, better go big at the soft serve ice cream bar. 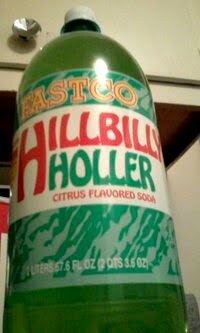 That Hillbilly Holler does look refreshing. We went to Chuck-a-rama the other day (not out of choice), and I tell you for $9.50, I for sure could have had a better meal at numerous locations. Why do people think that just because you received your endowments that you should gorge yourself in food held under warmers?